If you think that digital art has no soul or dimension, you haven’t seen the work of these 15 visionary visual artists. 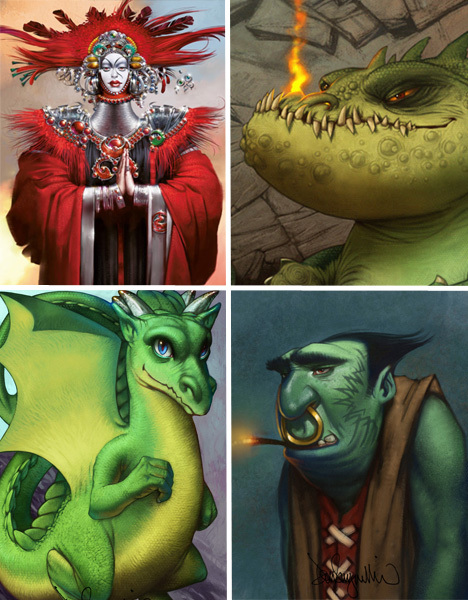 Some work as concept artists or illustrators while others take more of a fine art approach, creating purely for their own pleasure. Many of them have backgrounds in traditional art, seeing the use of digital media such as Photoshop and Corel Painter as a natural evolution of the creative process but never losing sight of those mysterious elements that make a work of art truly effective. Ray Caesar’s 17 years working in the Art and Photography Department of the Hospital for Sick Children in Toronto has had a lasting impression on his work. 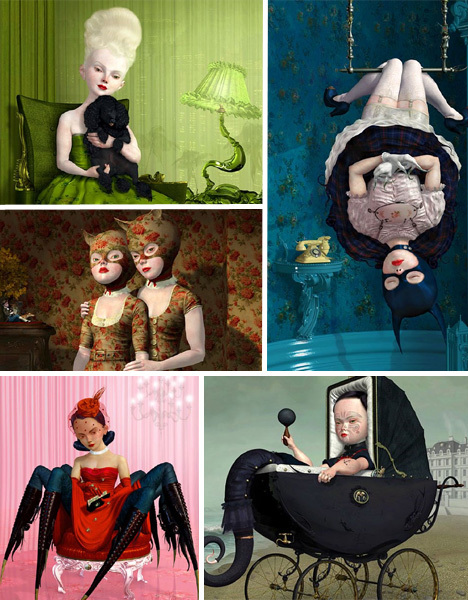 One of the most famous and sought-after digital artists of the Pop Surrealism movement, Caesar has a unique style that blends otherworldly images with Victorian aesthetics. He creates models in a 3D modeling software called Maya, then wraps them in painted and manipulated texture maps and adds digital lights and shadows. 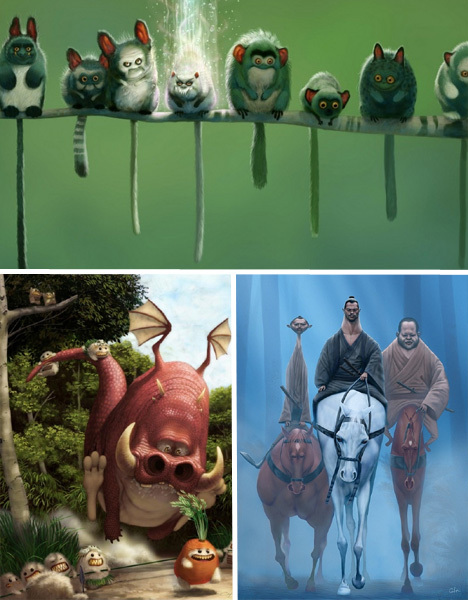 Digital painter Bobby Chui got his start designing Disney, Warner Bros. and Star Wars toys and that playful, imaginative tone remains in his illustration work for film and television today. 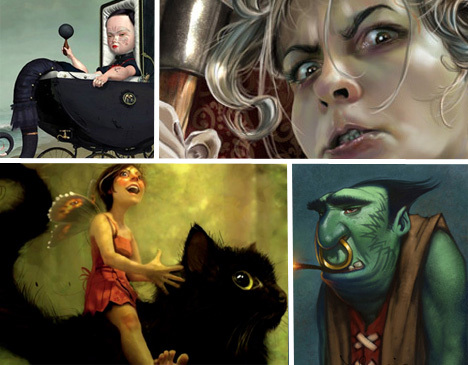 Chui teaches digital painting at Schoolism.com and has won a number of CG Choice Awards from the CG Society of Digital Artists. Cristiano Siqueira, known as CrisVector, is a digital artist from Brazil who uses vectors, Photoshop and 3D to create his unique artwork. A former graphic designer, Siqueira was itching for a bit more creative freedom, which he has found now as a self-employed illustrator. 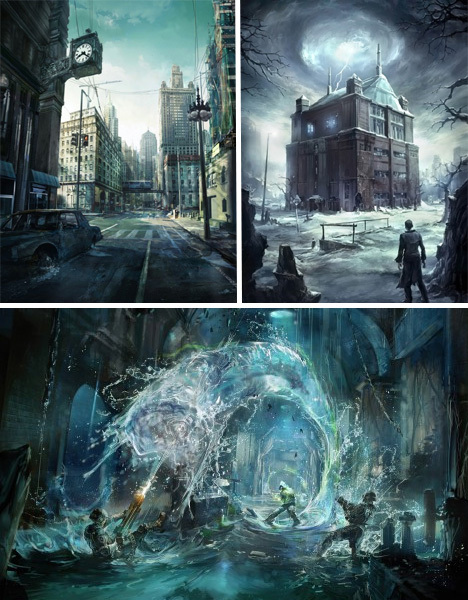 UK artist Daniel Conway started out as an animator, but became intrigued by digital painting and soon taught himself how to create stunningly detailed fantasy art with a combination of Photoshop and Painter with a Wacom Cintiq, the hybrid LCD display and graphics tablet. UK art student Sarah Rose Oliver hasn’t even graduated yet and she’s already making waves in the world of digital art, creating eye-catching pieces that have landed her on many a list of amazing digital painters. 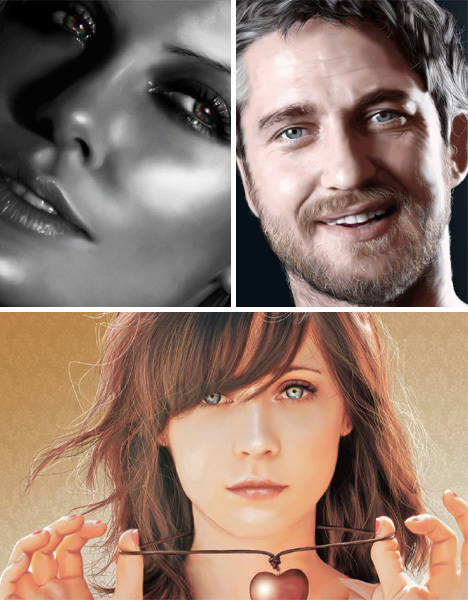 Her photo-realistic style is especially effective in portraits, which she creates using a Genius Pen Tablet and Photoshop. He might have no formal training in art, but Alberto Seveso clearly doesn’t need it. He has pioneered his own technique, which he named ‘sperm shaping’ for the shape of the vectors that he combines with images to create his own unique style. 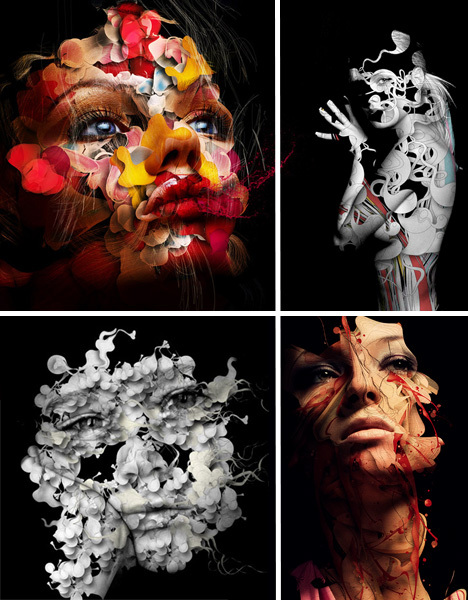 Many have asked Seveso to provide a tutorial but he refuses as he doesn’t want “clones of Alberto Seveso” running around and instead encourages other artists to go in their own direction. 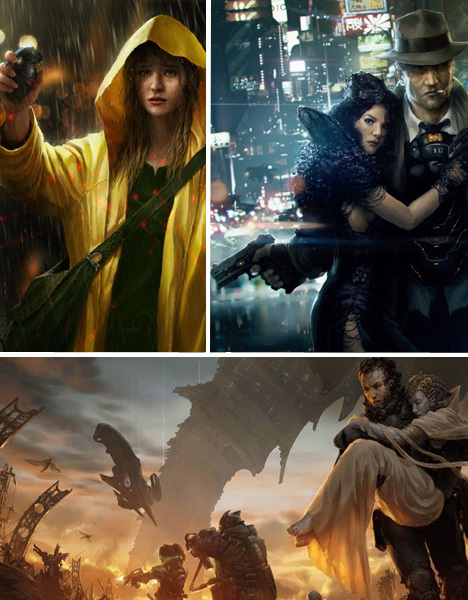 Polish artist Marek Okon creates each of his digital paintings as if they were a scene in a movie, capturing the most climactic moment of the story. 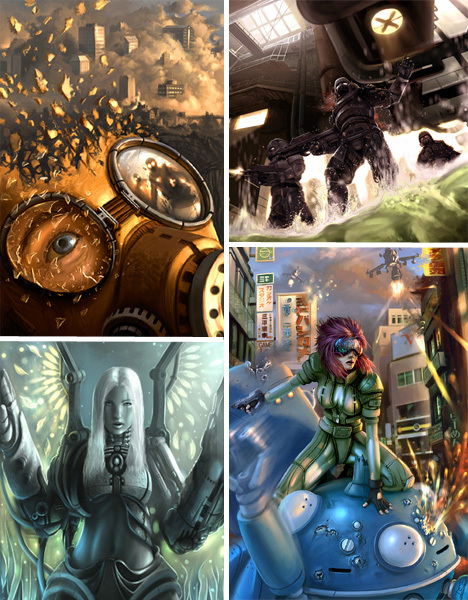 A professional painter and concept designer, Okon produces his epic work on a Wacom Intuos3 A4 tablet. 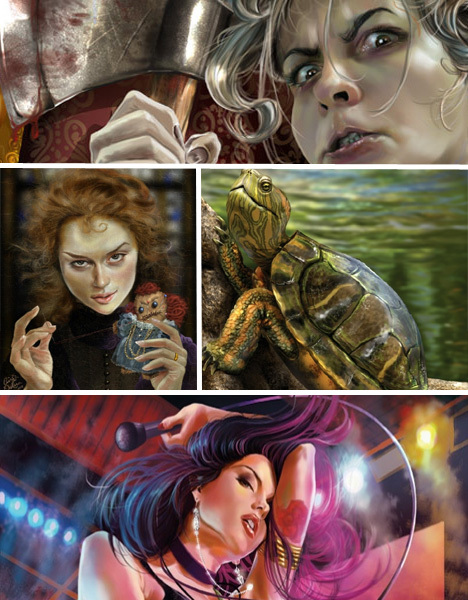 Cristina de Lara Stockler, known professionally as Cris de Lara, made a name for herself in the world of digital art through her unique old-style pin-ups. 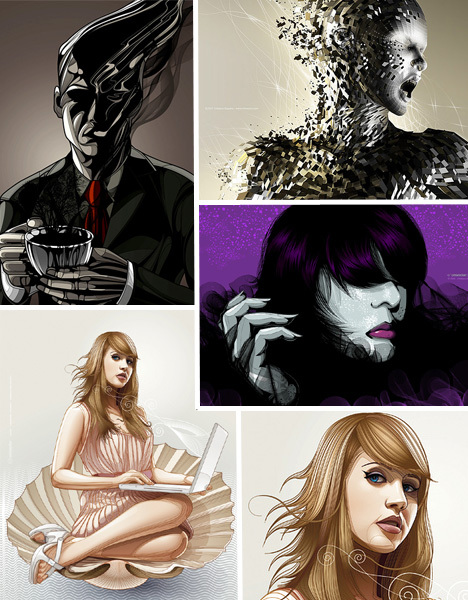 Much of her work has a comic book feel due to the influence that working in the industry had upon her style. Game concept designer Tae young Choi uses Painter, Photoshop, 3ds Max and Maya to create imagery that fuses dystopian sci-fi and classical mysticism for his current employer, console game developer Midway. Though he says he’d like to work with more traditional media, he explained to Imagine FX that time and practical issues get in the way. 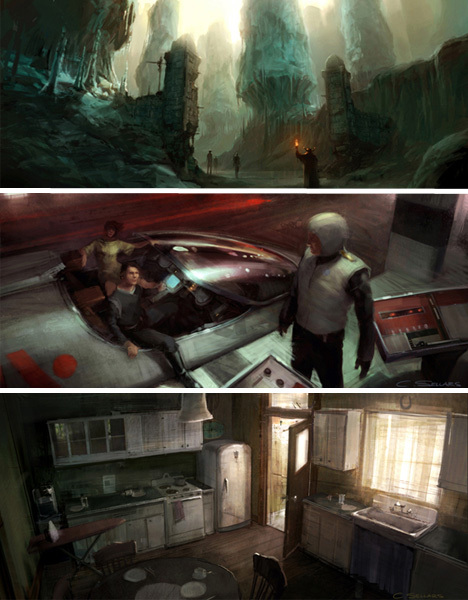 Freelance visual development artist and concept artist Craig Sellars has a background in both classical animation and video games, and it shows in his work, which has a traditional painterly quality but illustrates the sort of bleak interiors and desolate landscapes that are commonly seen in games. 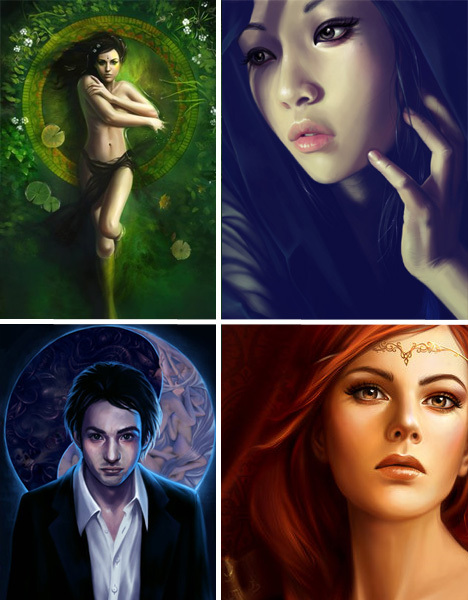 UK/Shanghai-based artist Wen Xi-Chen is a pathology student by day, digital painter by night, creating stunning portraits using Wacom Tablet (Intuos2) in Photoshop and/or Painter Classic/ Painter X. She offers a number of tutorials on deviantART. Don Seegmiller is an artist, author and educator, passing on his gift for digital art at Brigham Young University. He has completed more than 600 paintings in 20 years, has had his work featured in a number of books and is a regular speaker at the Game Developers Conference. 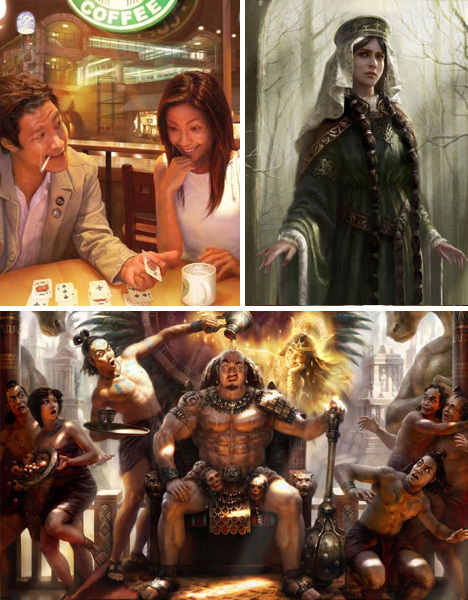 Taiwanese freelance digital artist Alon Chou worked in traditional media like oil painting and watercolor while a student at National Taiwan University of Art, and began learning digital art media only after taking a 3D modeling job with XPEC. Though he excelled at CG, Chou still identifies more with traditional artists in terms of his subject matter and style. One of the most popular artists on deviantART, Poland-based Marta Dahlig has gained a reputation for beautiful digital fantasy art. Dahlig uses modern tools like Photoshop and Corel Painter to create her works, but is inspired by classicists like William Bouguereau. 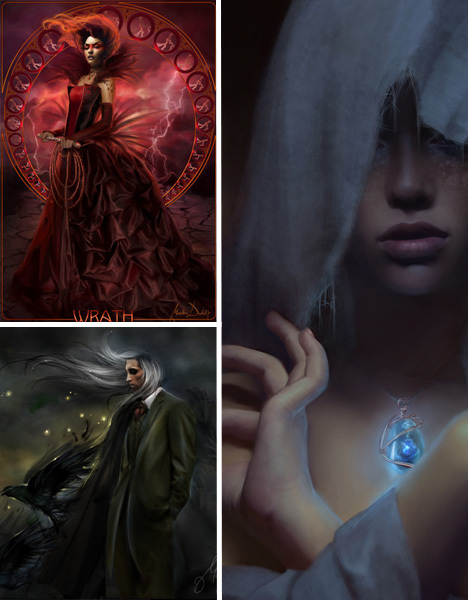 Best known for her ‘Seven Deadly Sins’ series, Dahlig provides tutorials on YouTube and various websites so that others can see exactly how she produces her art. 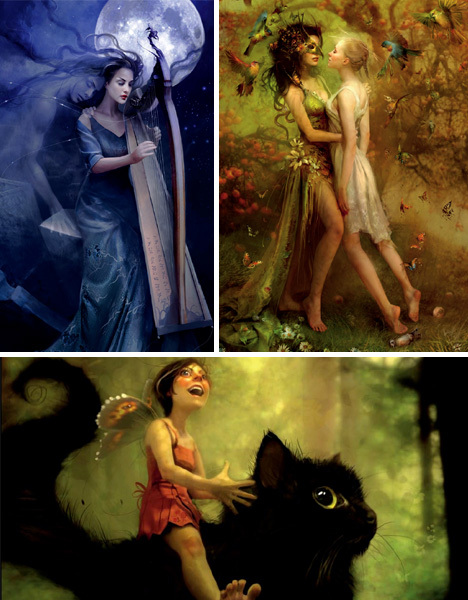 Swedish illustrator and digital fantasy artist Linda Bergkvist, known online as Enayla, started out as a traditional painter. When she was given a Wacom tablet on her 20th birthday by her parents, Bergkvist didn’t even think she would use it. But soon enough, she was hooked, and since then she has become one of the most talked-about CG artists and worked as a conceptual artist on the film The Golden Compass.